Walt Disney World is full of entertainment. From the obvious rides to an ever-expanding dining scene, there is no shortage of things to do throughout the resort. Perhaps the most universal form of entertainment in WDW comes in the form of shows. Between Disney World’s four theme parks there are over 75 shows, ranging from charming musical performances to elaborate nighttime spectaculars. I’m going to narrow those 75+ to 10 shows in this post, counting down the best. Of course, best is an extremely subjective term. I might not even agree with the below list as most of these shows are very different from each other. Perhaps a title of ’10 Shows You Shouldn’t Miss at Disney World’ may be more applicable to this list. Most of my criteria was based around the thought of someone wanting a list of the 10 shows I’d recommend. We can all agree that nighttime spectaculars are the most impressive with the biggest budgets. That doesn’t always make them the best though. In this list I tried to balance out the time it takes to see the show. Think of it as weighing the hassle vs. the reward. That puts some of the nighttime spectaculars lower on the list or not on it at all. Similarly, I tried to include a wide variety of shows which Disney World certainly offers. A few shows that narrowly missed the list included a few that were simply not big enough productions to make it. Those include Winged Encounters and Burudika in Animal Kingdom, Citizens of Hollywood at Hollywood Studios, Serveur Amusant and Voices of Liberty in Epcot, and Flag Retreat in Magic Kingdom. On the opposite end of the scale, a few shows didn’t make the list even though they are quite impressive. That includes the two nighttime spectaculars at Hollywood Studios and Mickey’s Royal Friendship Faire. I didn’t include any holiday shows as I wanted to keep the list to entertainment guests could see year around. I also didn’t include parades as I don’t consider them to be shows. Let’s get on to the list! 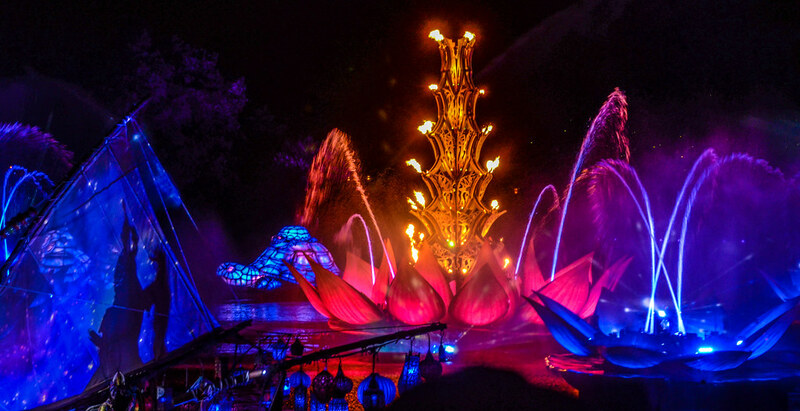 While most nighttime shows are visually impressive, few have a cohesive plot throughout. 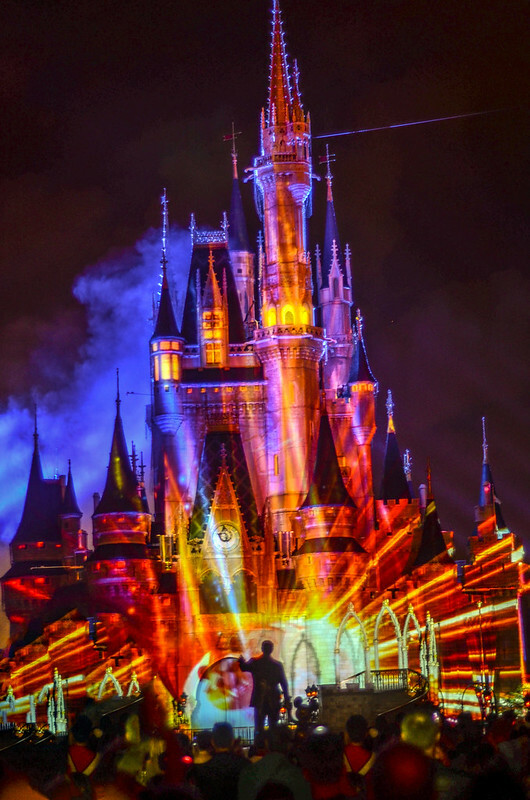 Magic Kingdom’s castle projection show bucks that trend with the usual incredible imagery. Mrs. Potts narrates through a bedtime story of sorts, taking guests and Chip through a myriad of Disney tales projected onto the castle. Once Upon a Time earns a spot on the list due to the storytelling and somewhat relaxed nature of viewing. The Jeweled Dragon Acrobats perform in World Showcase’s China Pavilion and are incredibly impressive. This group from China performs feats of strength and balance, similar to what you might see in Cirque du Soleil. What is maybe most impressive about the Jeweled Dragon Acrobats is their relatively young age. I thoroughly enjoy watching this show and it only lasts about 20 minutes. Before I go any further, this show is certainly dated and could use a major refresh. Don’t go in expecting the polished, up to date script that most of the rest of this list includes. Why Indy does make the list though is because of how unique it is. While Hollywood Studios used to have entertainment that represented what you might see on a movie set, that doesn’t exist anymore. 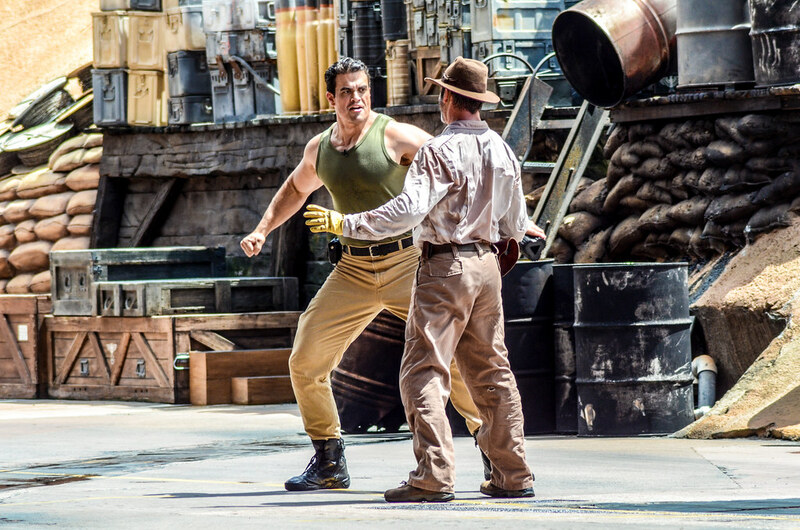 This show takes guests behind some of the stunts we could possibly see on the big screen. Despite the cheesiness, I think Indiana Jones Epic Stunt Spectacular is still a strong show that is very unique in Disney World. I’ve probably lost a few people with these last two picks. Rivers of Light is Animal Kingdom’s nighttime spectacular that has drawn mixed reviews over the last few years. I’m a fan of the show though, as I am drawn in by the abstract storytelling and beautiful visuals. Compared to other nighttime spectaculars, this one is relatively easy to get a spot for. The soundtrack is great and the show is different enough for me to really enjoy. This won’t be everyone’s cup of tea though. This is partially included because most my list is largely aimed at adult interests. Jedi Training is for the kids but ends up being entertaining for the adults too. Kids sign up ahead of time to be trained in the way of the Jedi and get to be on stage, eventually ending with a battle against Kylo Ren. There’s some good off-the-cuff moments here and the show is well written. I’ve raved about Muppets Present… many times. I think it is Disney’s best use of the Muppets since acquiring them over a decade ago. With help from Kermit, Fozzie, Miss Piggy and Gonzo, Sam Eagle tells a story about American History. The jokes are excellent, as is the puppeteering. 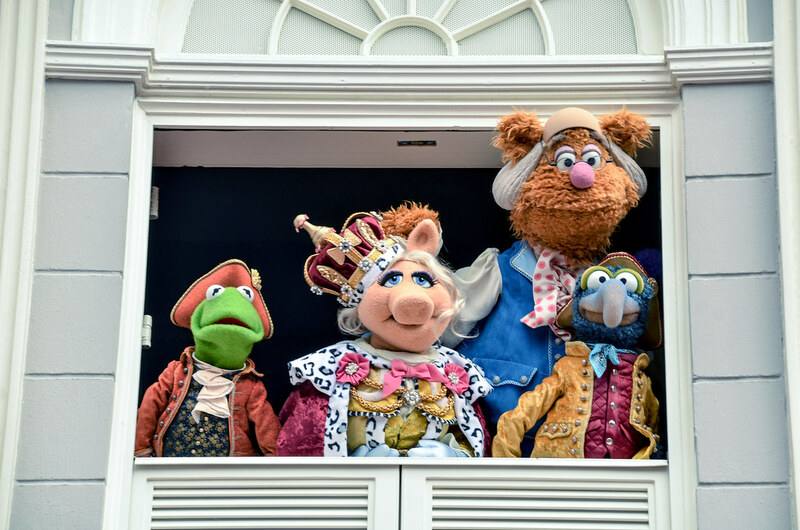 Muppets Present… adds life to Liberty Square and is not to be missed. 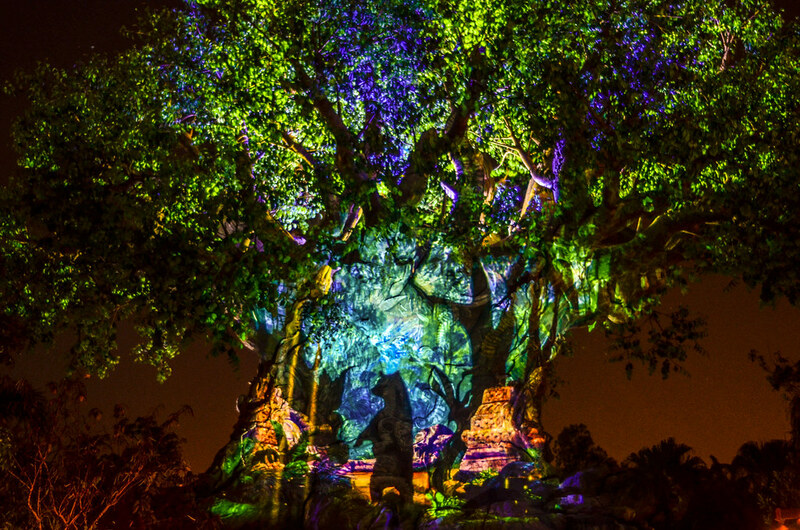 I don’t give out this title lightly but Tree of Life Awakenings is the most beautiful show at Disney World. After the sun sets, the tree lights up and uses projections to tell vignettes. Each little show lasts a couple of minutes at the most. It is worth sticking around for a few to see the different versions. 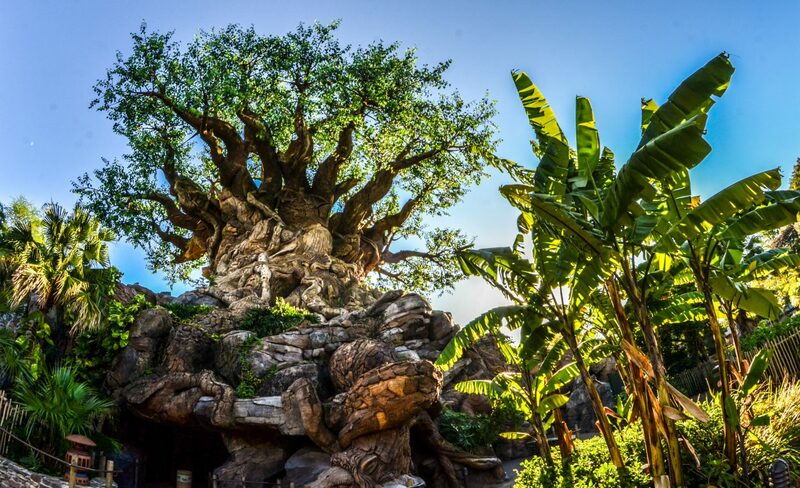 While Rivers of Light makes this list and is a bigger show, Tree of Life Awakenings is more focused and interesting. Another Animal Kingdom entry and the highest rated non-nighttime spectacular on the list. Festival of the Lion King is a personal favorite. Inspired by Lion King, this is a variety show with acrobats, singing and more. All of the performances are incredible and the theater is unique. 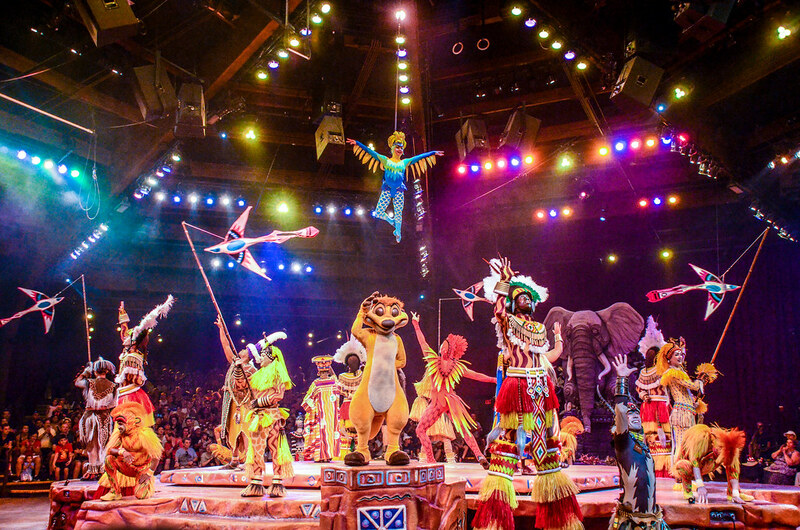 Festival of the Lion King has an intimate setting and connects with guests. I wouldn’t blame anyone for having this on the top of the list. Magic Kingdom’s latest nighttime spectacular debuted in 2017 and is one of the most impressive shows I’ve ever seen. Lasting a whopping 18 minutes, this show seamlessly blends classic Disney songs with beautiful fireworks and projections. The soundtrack is great and the show is exciting and heart warming. 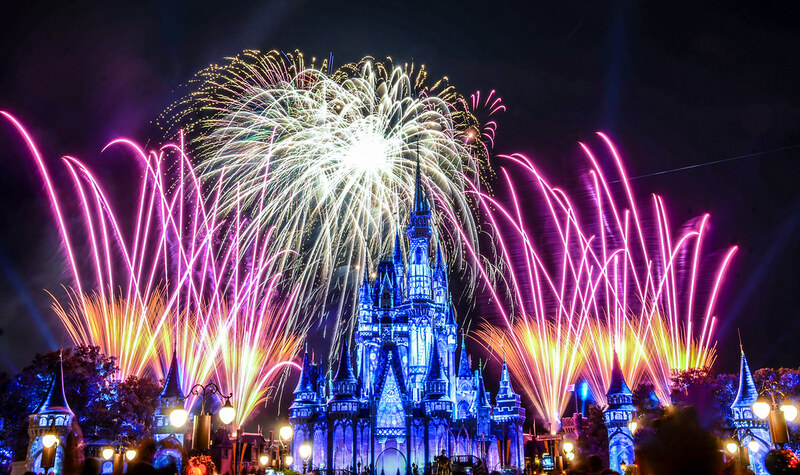 Happily Ever After is everything you could want in a castle park’s nighttime spectacular. Illuminations: Reflections of Earth gets one last go around through next summer and then will be retired. Not wanting to hurt the show’s feelings on its victory lap, I had to place it number one. Well… It’s more a blend of nostalgia I have for the show and the stunning concept behind it. I’ve never seen a nighttime spectacular quite like Illuminations: Reflections of Earth and probably never will again. Using the World Showcase location to its advantage, the show’s themes revolve around unity. Illuminations isn’t overtly Disney and is fairly abstract making it unique. 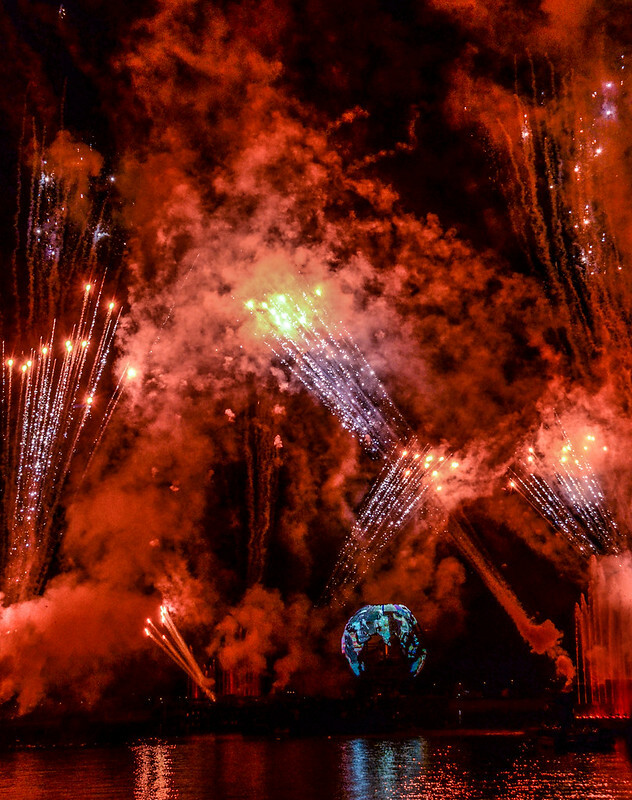 Illuminations: Reflections of Earth is a perfect way to end a night at Epcot. What shows did I miss in this top 10? Let me know your favorites below in the comments. Planning a trip to Walt Disney World? Check out our Disney World Trip Planning Guide to help you out. If you enjoy what you are reading here on Wandering in Disney please share this post with your friends, as well as like our social media pages. You can also subscribe to the blog via WordPress or email. All of those links are on the right side of this page. Thank you for reading, we really appreciate it!